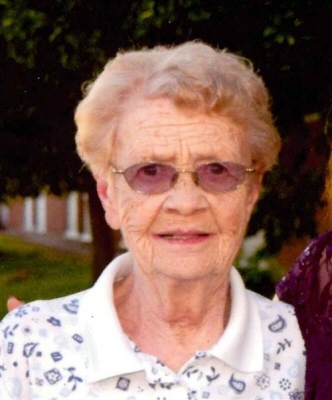 Mrs. Sandra G. DesLauriers, age 79, passed away Thursday morning, February 7, 2019, at Northwestern Medical Center, after a brief illness. She was born in St. Albans, September 1, 1939, daughter of the late Sedrick and Maura (Sullivan) Kelley. Sandy married the love of her life Edward DesLauriers on August 13, 1960. Ed predeceased her on October 18, 2011. Sandy worked for A. N. Derringer as a secretary, and most recently as a saleslady for Kinney Drugs, retiring in 2012 after 18 years. Sandy enjoyed going to the casino, spending time at camp in the summer with her best friend Janice and mostly spending time with her grandchildren. Sandy was a communicant of Holy Angels Church. Sandy is survived by her children, Jeffrey DesLauriers and his wife Jodi of Georgia, Deborah Chrysler and her husband Andrew of Swanton, and Sharon DesLauriers of St. Albans. Sandy is also survived by her her 5 very special grandchildren, Todd Bressette, Kyle DesLauriers and his wife Lindsey, Cory Bedard, Morgan and Tanner DesLauriers, and an unborn great-granddaughter, her brother James Michael Kelley of St. Albans, her sister-in-law Judith Kelley of Niagara Falls, NY, and her very best friend Janice Johnsen of Cape Coral, FL and St Albans Bay. Besides her parents and husband Edward, she was predeceased by her sister Betty Finn, and brothers Lawrence Kelley and Winston “Bud” Kelley. The family will receive condolences on Tuesday, February 12, 2019 from 5:00 PM to 7:00 PM in the Brady & Levesque Funeral Chapel, 86 South Main Street, St. Albans. Interment will take place this spring in the DesLauriers family lot in Mount Calvary Cemetery. As an alternative to flowers, memorials may be made to the Make-A-Wish Foundation, 431 Pine Street, Suite 214, Burlington, VT 05401. Arrangements are entrusted to Brady & Levesque Funeral Home, where online condolences and memories of Sandy may be shared with her family and friends at: www.bradyandlevesque.com. To plant a tree in memory of Sandra G. DesLauriers, please visit our Tribute Store. "Email Address" would like to share the life celebration of Sandra G. DesLauriers. Click on the "link" to go to share a favorite memory or leave a condolence message for the family.